The 21st century is predicted to be the Century of Biology, a shift from the previous century dominated by physics. It seems fitting, then, to begin the century by turning the universe outside-in and unifying the foundations of science, not with imaginary strings that occupy equally imaginary unseen dimensions, but with a much simpler idea that is rife with so many shocking new perspectives that we are unlikely ever to see reality the same way again. In the past few decades, major puzzles of mainstream science have forced a re-evaluation of the nature of the universe that goes far beyond anything we could have imagined. A more accurate understanding of the world requires that we consider it biologically centered. It’s a simple but amazing concept that Biocentrism attempts to clarify: Life creates the universe, instead of the other way around. Understanding this more fully yields answers to several long-held puzzles. This new model — combining physics and biology instead of keeping them separate, and putting observers firmly into the equation — is called biocentrism. Its necessity is driven in part by the ongoing attempts to create an overarching view, a theory of everything. Such efforts have now stretched for decades, without much success except as a way of financially facilitating the careers of theoreticians and graduate students. For several centuries, starting roughly with the Renaissance, a single mindset about the construct of the cosmos has dominated scientific thought. This model has brought us untold insights into the nature of the universe, and countless applications that have transformed every aspect of our lives. But this model — failing us now in a myriad of ways — may be reaching the end of its useful life. 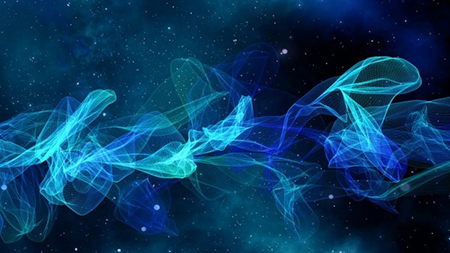 The old model proposes that the universe was until rather recently a lifeless collection of particles bouncing against each other, and obeying predetermined rules that were mysterious in their origin. The universe is presented as a watch that somehow wound itself and that, allowing for a degree of quantum randomness, will unwind in a semi-predictable way. There are many problems with the current paradigm — some obvious, others rarely mentioned but just as fundamental. But the overarching problem involves life, since its initial arising is still a scientifically unknown process, even if the way it then changed forms can be apprehended using Darwinian mechanisms. The bigger problem is that life contains consciousness, which, to say the least, is poorly understood. Consciousness is not just an issue for biologists; it’s a problem for physics. There is nothing in modern physics that explains how a group of molecules in a brain creates consciousness. The beauty of a sunset, the taste of a delicious meal, these are all mysteries to science — which can sometimes pin down where in the brain the sensations arise, but not how and why there is any subjective personal experience to begin with. And, what’s worse, nothing in science can explain how consciousness arose from matter. Our understanding of this most basic phenomenon is virtually nil. Interestingly, most models of physics do not even recognize this as a problem. But even putting aside the life-and-consciousness issues, the current model leaves much to be desired when it comes to explaining the fundamentals of our universe. The cosmos sprang out of nothingness 13.7 billion years ago, in a titanic event facetiously labeled the Big Bang. We don’t begin to understand where the big bang came from even if we continually tinker with the details. Indeed, every theorist realizes in his bones that you can never get something from nothing, and that the Big Bang is no explanation at all for the origins of everything, but merely, at best, the partial description of a single event in a continuum that is probably timeless. It’s one thing to acknowledge that theoretical physicists are brilliant people even if they do tend to drip food on themselves at buffets. But at some point, virtually everyone has thought, or at least felt: This really doesn’t work. This doesn’t explain anything fundamental, not really. Then, too, in the last few decades there has been considerable discussion of a basic paradox in the construction of the universe. Why are the laws of physics exactly balanced for animal life to exist? There are over 200 physical parameters within the solar system and universe so exact that it strains credulity to propose that they are random — even if that is exactly what standard contemporary physics baldly suggests. These fundamental constants of the universe — constants that are not predicted by any theory — all seem to be carefully chosen, often with great precision, to allow for existence of life and consciousness (yes, consciousness raises its annoying head yet another time). We have absolutely no reasonable explanation for this. When it comes right down to it, today’s science is amazingly good at figuring out how the parts work. What eludes us is the big picture. We provide interim answers, we create exquisite new technologies from our ever-expanding knowledge of physical processes. We do badly in just one area, which unfortunately encompasses all the bottom-line issues: What is the nature of this thing we call reality, the universe as a whole? Any honest metaphorical summary of the current state of explaining the cosmos as a whole is: a swamp. And this particular Everglade is one where the alligators of common sense must be evaded at every turn. Some scientists insist that a Theory of Everything is just around the corner, and then we’ll essentially know it all. Any day now. It hasn’t happened, and it may not happen until we better understand a critical component of the cosmos — a component that has been shunted it out of the way because science doesn’t know what to do with it. This, consciousness, is not a small item. It is not like anything else. Indeed, it is nothing like anything else. Consciousness is awareness, or perception, which in an utter mystery has somehow arisen from molecules and goo. How did inert, random bits of carbon ever morph into that Japanese guy who always wins the hot dog eating contest? In short, the attempt to explain the nature of the universe, its origins, its parameters, and what is really going on, requires an understanding of how the observer — our presence — plays a role. At first this may seem impossibly difficult, since much of awareness or consciousness and certainly its origins are still mysterious. But as we shall see, we can use what we know, and what we are increasingly discovering, to formulate models of the cosmos that make sense of things for the first time. Undeniably it is the biological creature that makes the observations and creates the theories. Our entire education system in all disciplines, the construction of our language, revolve around a bottom-line mindset that assumes a separate universe “out there” into which we have each individually arrived on a very temporary basis. It is further assumed that we accurately perceive this external pre-existing reality and play little or no role in its appearance. However, starting in the 1920s, the results of experiments have shown just the opposite. The observer critically influences the outcome. An electron turns out to be both a particle and a wave but how and, more importantly, where such a particle will be located remains dependent upon the very act of observation. This is perhaps most vivid in the famous two-hole experiment, which has been performed so many times, with so many variations, it’s conclusively proven that if one “watches” a subatomic particle or a bit of light pass through slits on a barrier, it behaves like a particle and creates solid-looking hits behind the individual slits on the final barrier that measures the impacts. Like a tiny bullet, it logically passes through one or the other hole. But if the scientists do not observe the trajectory of the particle, then it exhibits the behavior of waves that allow it pass through both holes at the same time. Since then, the list of paradoxes and intractable problems has continued to grow, starting with those accompanying the Big Bang (for instance, how could the entire universe — indeed, the laws of nature themselves — pop out of nothingness?) to experiments during the past decade that show separate particles can influence each other instantaneously over great distances — as if they’re endowed with a kind of ESP. It works with light, too: When born-together pairs of photons are created in a special kind of crystal, observing one member instantly influences the behavior the other — even if they are separated by enormous distances. They are intimately linked in a manner suggesting there’s no space between them, and no time influencing their behavior. These and similar experiments have befuddled scientists for decades. Some of the greatest physicists have described them as impossible to intuit. How can quantum physics be so impervious to metaphor, visualization, and language? Amazingly, if we accept a life-created reality at face value, it all becomes simple and straightforward to understand. Take the seemingly undeniable logic that your kitchen is always present, its contents assuming all their familiar shapes and colors whether or not you are in it. But consider: The shapes, colors, and forms known as your kitchen are seen as they are solely because photons of light from the overhead bulb bounce off the various objects and then interact with your brain through a complex set of retinal and neural intermediaries. But on its own, light doesn’t have any color, nor any brightness, nor any visual characteristics at all. It’s merely an electrical and magnetic phenomenon. So while you may think that the kitchen as you remember it was “there” in your absence, the unquestionable reality is that nothing remotely resembling what you can imagine could be present when a consciousness is not interacting. Quantum physics comes to a similar conclusion. At night you click off the lights and leave for the bedroom. Of course the kitchen is there, unseen, all through the night. Right? But, in fact, the refrigerator, stove and everything else are composed of a shimmering swarm of matter/energy. The results of quantum physics, such as the two-slit experiment, tell us that not a single one of those subatomic particles actually occupies a definite place. Rather, they exist as a range of possibilities — as waves of probability — as the German physicist Max Born demonstrated back in 1926. They are statistical predictions — nothing but a likely outcome. In fact, outside of that idea, nothing is there! If they are not being observed, they cannot be thought of as having any real existence — either duration or a position in space. It is only in the presence of an observer — that is, when you go back in to get a drink of water — that the mind sets the scaffolding of these particles in place. Until it actually lays down the threads (somewhere in the haze of probabilities that represent the object’s range of possible values) they cannot be thought of as being either here or there, or having an actual position, a physical reality. Indeed, it is here that biocentrism suggests a very different view of reality. Most people, in and out of the sciences, imagine the external world to exist on its own, with an appearance that more-or-less resembles what we ourselves see. Human or animal eyes, according to this view, are merely clear windows that accurately let in the world. If our personal window ceases to exist, as in death, or is painted black and opaque, as in blindness, that doesn’t in any way alter the continued existence of the external reality or its supposed “actual” appearance. A tree is still there, the moon still shines, whether or not we are cognizing them. They have an independent existence. True, a dog may see an autumn maple solely in shades of gray, and an eagle may perceive much greater detail among its leaves, but most creatures basically apprehend the same visually real object, which persists even if no eyes were upon it. This “Is it really there?” issue is ancient, and of course predates biocentrism. Biocentrism, however, explains why one view and not the other may be correct. The converse is equally true: Once one fully understands that there is no independent external universe outside of biological existence, the rest more or less falls into place. And exactly where is that fridge? Where is the universe even located? Start with everything that is currently being perceived — the page you are looking at, for example. Language and custom say that it all lies outside us in the external world. Yet we’ve already seen that nothing can be perceived that is not already interacting with our consciousness. Since the perceived images are experientially real and not imaginary, it must be physically happening in some location. Human physiology texts answer this without ambiguity. Although the eye and retina gather photons that deliver their payloads of bits of the electromagnetic force, these are channeled through heavy-duty cables straight back until the actual perception of images themselves physically occur in the back of the brain, augmented by other nearby locations, in special sections that are as vast and labyrinthine as the hallways of the Milky Way. This, according to human physiology texts, is where the actual colors, shapes, and movement “happen.” This is where they are perceived or cognized. If you try to consciously access that luminous, energy-filled, visual part of the brain, it’s easy. You’re already effortlessly perceiving it with every glance you take. Custom says that what we see is “out there,” outside ourselves, and such a viewpoint is fine and necessary in terms of language and utility, as in “please pass the butter that’s over there.” But make no mistake: The butter itself exists only within the mind. It is the only place visual (and tactile and olfactory) images are perceived and hence located. Explained in the language of biology, the brain turns impulses from our senses into an order and a sequence. As photons of light bounce off the butter, various combinations of wavelengths enter our eye and deliver the force to trillions of atoms arranged into an exquisite design of cells that rapidly fire in permutations too vast for any computer to calculate. Then, in the brain, this information, which as we previously saw has no color by itself, appears as a yellow block of butter. Even its smell and texture are experienced in the mind alone. The “butter” is not “out there” except by the convention of language. The same is true for all perceived objects, including the brain, cells, and even the electromagnetic events we detect with our instruments. A major handicap in adopting this new viewpoint is that language was created to work exclusively through symbolism, and to divide nature into parts and actions. Even if well acquainted with the limitations and vagaries of language, we must be especially on guard against dismissing biocentrism too quickly if it doesn’t at first glance seem compatible with customary verbal constructions. The challenge here, alas, is to peer not just behind habitual ways of thinking, but to go beyond some of the tools of the thinking process itself, to grasp the universe in a way that is at the same time simpler and more demanding than what we are accustomed to. Quantum mechanics describes the tiny world of the atom and its constituents, and their behavior, with stunning if probabilistic accuracy. 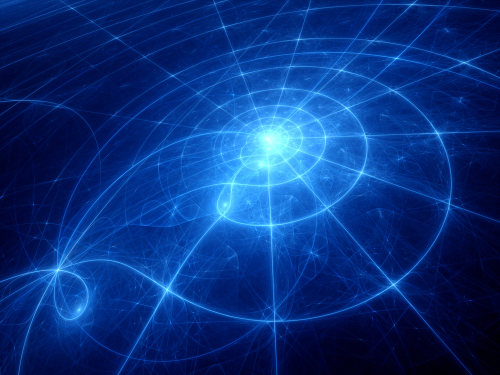 But quantum mechanics in many ways threatens our absolute notions of space and time. When studying subatomic particles, the observer appears to alter and determine what is perceived. The presence and methodology of the experimenter is hopelessly entangled with whatever he is attempting to observe, and what results he gets. In 1964, Irish physicist John Bell proposed an experiment that could show if separate particles can influence each other instantaneously over great distances. First it is necessary to create two bits of matter or light that share the same “wave function” using a special kind of crystal (so-called “entangled particles”). Now, since quantum theory tells us that everything in nature has a particle nature and a wave nature, and that the object’s behavior exists only as probabilities, no small object actually assumes a particular place or motion until its “wave function” collapses. What accomplishes this collapse? Messing with it in any way. Hitting it with a bit of light in order to “take its picture” would instantly do the job. But it became increasingly clear that any possible way the experimenter could “take a look” at the object would collapse the wave function. As more sophisticated experiments were devised it became obvious that mere knowledge in the experimenter’s mind is sufficient to cause the wave function to collapse. That was freaky, but it got worse. If the wave function of an entangled particle collapses, so will the other’s — even if they are separated by the width of the universe. This means that if one particle is observed to have an “up spin” the act of observation causes the other to instantly go from being a mere probability wave to an actual particle with the opposite spin. They are intimately linked, and in a way that acts as if there’s no space between them, and no time influencing their behavior. Experiments from 1997 to 2007 have shown that this is indeed the case, as if tiny objects created together are endowed with a kind of ESP. They truly seem to prove that Einstein’s insistence on “locality” — meaning that nothing can influence anything else at superluminal speeds — is wrong. Rather, the entities we observe are floating in a field — a field of mind, biocentrism maintains — that is not limited by the external spacetime Einstein theorized a century ago. No one should imagine that when biocentrism points to quantum theory as one major area of support, it is just a single aspect of quantum phenomena. Bell’s Theorem of 1964, shown experimentally to be true over and over in the intervening years, does more than merely demolish all vestiges of Einstein’s hopes that locality can be maintained. Before Bell, it was still considered possible (though increasingly iffy) that local realism — an objective independent universe – could be the truth. Before Bell, many still clung to the millennia-old assumption that physical states exist before they are measured. Before Bell, it was still widely believed that particles have definite attributes and values independent of the act of measuring. And, finally, thanks to Einstein’s demonstrations that no “information” can travel faster than light, it was assumed that if observers are sufficiently far apart, a measurement by one has no effect on the measurement by the other. All of the above are now finished for keeps. As we saw earlier, the profound influence of the observer is also clear in the famous two-hole experiment, which in turn goes straight to the core of quantum physics. If one watches a subatomic particle or a bit of light pass through slits on a barrier, it behaves like a particle and logically passes through one or the other hole. But if the scientists do not observe the trajectory of the particle, then it exhibits the behavior of waves that retain the right to exhibit all possibilities, including going through both holes at the same time — and then creating the kind of rippling pattern that only waves produce. These waves of probability are not waves of material, but rather statistical predictions. Outside of that idea, the wave is not there. From the beginning, Copenhagen adherents realized that nothing is real unless it’s perceived. This makes perfect sense if biocentrism is reality; otherwise it’s a total enigma. At present, the implications of these experiments are conveniently downplayed in the public mind because, until recently, quantum behavior was limited to the microscopic world. However, this has no basis in reason, and more importantly, it is starting to be challenged in laboratories around the world. New experiments carried out with huge molecules called “Buckyballs” show that quantum reality extends into the macroscopic world we live in. In 2005, KHC03 crystals exhibited quantum entanglement ridges a half-inch high — visible signs of behavior nudging into everyday levels of discernment.An exciting new experiment has just been proposed (so-called ‘scaled-up superposition’) that would take this even further. The world appears to be designed for life, not just at the microscope scale of the atom, but at the level of the universe itself. Scientists have discovered that the universe has a long list of traits that make it appear as if everything it contains — from atoms to stars — was tailor-made just for us. If the Big Bang had been one part in a million more powerful, it would have rushed out too fast for the galaxies and life to develop. Result: no us. If the strong nuclear force were decreased two percent, atomic nuclei wouldn’t hold together, and plain-vanilla hydrogen would be the only kind of atom in the universe. If the gravitational force were decreased by a hair, stars — including the sun — would not ignite. In fact, all of the universe’s forces and constants are just perfectly set up for atomic interactions, the existence of atoms and elements, planets, liquid water and life. Tweak any of them and you never existed. Many are calling this revelation the “Goldilocks Principle,” because the cosmos is not “too this” or “too that,” but rather “just right” for life. At the moment, there are only four explanations for this mystery. One is to argue for incredible coincidence. Another is to say, “God did that,” which explains nothing even if it is true. The third is to invoke the anthropic principle’s reasoning that we must find these conditions if we are alive, because, what else could we find? The final option is biocentrism pure and simple, which explains how the universe is created by life. Obviously, no universe that doesn’t allow for life could possibly exist; the universe and its parameters simply reflect the spatio-temporal logic of animal existence. Since quantum theory increasingly casts doubts about the existence of time as we know it, let’s head straight into this surprisingly ancient scientific issue. As irrelevant as it might first appear, the presence or absence of time is an important factor in any fundamental look into the nature of the cosmos. The reality of time has long been questioned by an odd alliance of philosophers and physicists. The former argue that the past exists only as ideas in the mind, which themselves are solely neuroelectrical events occurring strictly in the present moment. Physicists, for their part, find that all working models from Newton’s laws through quantum mechanics have no need for time. When people speak of time, they’re usually referring to change. But change is not the same thing as time. To measure anything’s position precisely, at any given instant, is to “lock-in” on one static frame of its motion, as in a film. Conversely, as soon as you observe movement or momentum you can’t isolate a frame — because momentum is the summation of many frames. Sharpness in one parameter induces blurriness in the other. To understand this, consider for a moment that you are watching a film of an archery tournament. An archer shoots and the arrow flies. The camera follows the arrow’s trajectory from the archer’s bow toward the target. Suddenly the projector stops on a single frame of a stilled arrow. You stare at the image of an arrow in mid-flight, something you obviously could not do at a real tournament. The pause in the film enables you to know the position of the arrow with great accuracy — it’s just beyond the grandstand, 20 feet above the ground. But you have lost all information about its momentum. It is going nowhere; its velocity is zero. Its path, its trajectory, is no longer known. It is uncertain. It soon becomes apparent that such uncertainty is actually built into the fabric of reality. This makes perfect sense from a biocentric perspective: Time is the animal sense that animates events — the still frames — of the spatial world. Everything you perceive — even this page — is actively and repeatedly being reconstructed inside your head in an organized whirl of information. Time can be defined as the summation of spatial states; the same thing measured with our scientific instruments is called momentum. The weaving together of these frames occurs in the mind. So what’s real? We confront a here-and-now. If the next “image” is different from the last, then it is different, period. We can award that change with the word “time” but that doesn’t mean there’s an actual invisible entity that forms a matrix or grid in which changes occur. That’s just our own way of making sense of things, our tool of perception. We watch our loved ones age and die, and assume an external entity called time is responsible for the crime. The demotion of time from an actual reality to a mere subjective experience, a social convention, is evidence against the “external universe” mindset, because the latter requires a space and time gridwork. In biocentrism, space and time are forms of animal understanding — period. They are tools of the mind, and thus do not exist as external objects independent of life. When we feel poignantly that time has elapsed, as when loved ones die, it constitutes the human perceptions of the passage and existence of time. Our babies turn into adults. We age. They age. We all grow old together. That to us is time. It belongs with us. There is a peculiar intangibility about space, as well. We cannot pick it up and bring it the laboratory. This is because, like time, space is neither physical nor fundamentally real. It is a mode of interpretation and understanding — part of an animal’s mental software that molds sensations into multidimensional objects. In modern everyday life, however, we’ve come to regard space as sort of a vast container that has no walls. In it, we cognize separate objects that were first learned and identified. These patterns are blocked out by the thinking mind within boundaries of color, shape or utility. Human language and ideation alone decide where the boundaries of one object end and another begins. Multiple illusions and processes routinely impart a false view of space. Shall we count the ways? 1. Empty space is in fact not empty. 2. Distances between objects can and do mutate depending on a multitude of conditions like gravity and speed, so that no bedrock distance exists anywhere, between anything and anything else. 3. Quantum theory casts serious doubt about whether even distant individual items are truly separated at all, and 4. We “see” separations between objects only because we have been conditioned and trained, through language and convention, to draw boundaries. Now, space and time illusions are certainly harmless. A problem only arises because, by treating space as something physical, existing in itself, science imparts a completely wrong starting point for investigations into the nature of reality. In reality there can be no break between the observer and the observed. If the two are split, the reality is gone. Space, like time, is not an object or a thing. Space and time are forms of our animal sense perception. We carry them around with us like turtles with shells. Thus, there is no absolute self-existing matrix in which physical events occur independent of life. Biocentrism offers a springboard to make sense of aspects of biological and physical science which are currently insensible. 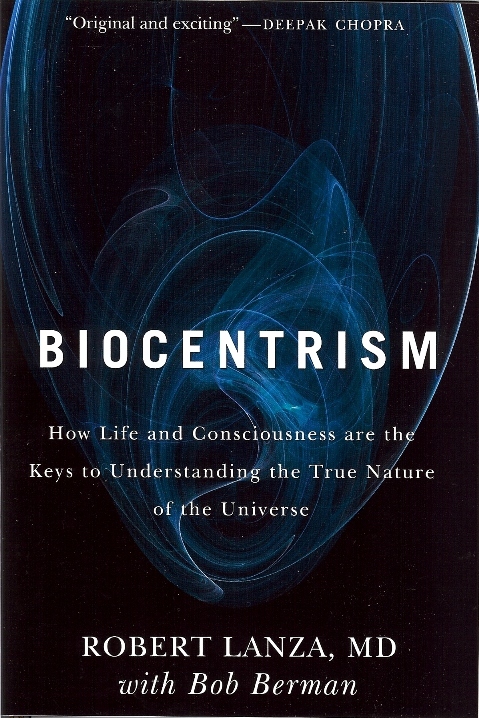 Natural areas of biocentric research include the realm of brain-architecture, neuroscience, and the nature of consciousness itself. Another is the ongoing research into artificial intelligence. Though still in its infancy, few doubt that this century, in which computer power and capabilities keep expanding geometrically, will eventually bring researchers to confront the problem in a serious way. A “thinking device” will need the same kind of algorithms for employing time and developing a sense of space that we enjoy. Finally, one must consider the endless ongoing attempts at creating “grand unified theories.” Currently such efforts in physics have typically stretched for decades without much success. Incorporating the living universe — and allowing the observer into the equation as the late John Wheeler insists is necessary — will at minimum produce a fascinating amalgam of the living and non-living in a way that should make everything work better. It should provide stronger bases for solving some of the problems associated with quantum physics and the Big Bang. Accepting space and time as forms of animal sense perception (as biologic), rather than as external physical objects, offers a new way of understanding everything from the microworld (for instance, the reason for Heisenberg’s uncertainty principle and the two-hole experiment) to the forces, constants, and laws that shape the universe. Currently, the disciplines of biology and physics, and all their sub-branches are generally practiced by those with little knowledge of the others. Without symbiosis between them, attempts to unify the universe will remain a dead end. 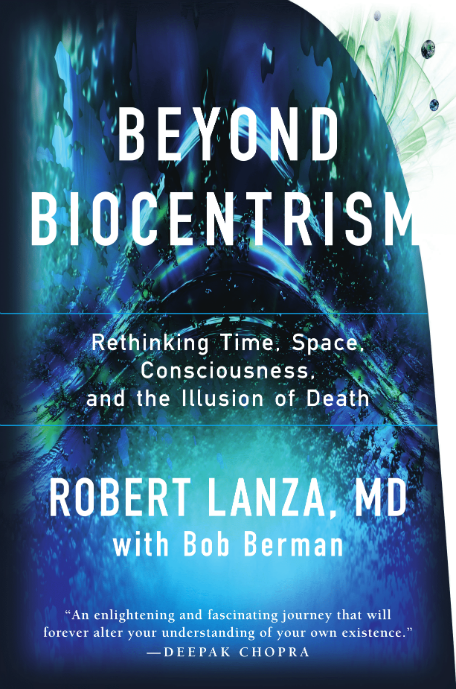 Abridgement of “Biocentrism: How Life and Consciousness are the Keys to Understanding the True Nature of the Universe” by Robert Lanza with Bob Berman, published by BenBella Books. Copyright 2009 by Robert Lanza with Bob Berman. Published with the authors’ permission. All rights reserved.